Ever since I published my marketing book, HOW I MADE OVER $42,000 IN 1 MONTH SELLING MY KINDLE eBOOKS, which was designed specifically for Amazon's KDP Select program, I have received emails, tweets and FB messages from authors who have used my strategies. My marketing book has been reviewed 212 times as of today. Some people have questioned my integrity and intention regarding this book, but the email I received yesterday is the best way for me to explain WHY I would reveal my "secrets" or strategies. The simple reason: because I like helping other authors; I always have, always will. I'm sure you get this kind of messages all the time but I really wanted to share what your book, "How I Made Over $42,000 in 1 Month Selling My Kindle eBooks", has done for me. First let me say that your name and book has become a topic of conversation among the writers in our group. I wrote Stella's Plea as part of the NaNoWriMo challenge in 2010. It’s my first novel, a Christian Suspense about the abduction of a deaf little girl, and her mother's struggle to find her. I published it in November 2012. Last week, Sarah Butland, a writer-friend, highly recommended your book, and to make sure I take notes as I read. Thank God for technology, I read it on my Kindle and took notes in my Windows Phone. It hasn’t been a week since I finished your book but I'm aiming for the moon and feel like one of the stars. My novel wasn't selling because I lacked the market savvy you're so good at. I had no idea how to promote my novel, let alone sell it. Even an interview with the local newspaper didn't move my rank. But then, Sarah recommended your book. It was awesome. I jotted the tips down -- and then some -- recommended the book to others on our writers groups, and put the strategies to the test. WoW! You weren't kidding. I removed my novel from Smashwords, deleted the excerpts, and advertised a FREE promo from Thursday, Sept 5 to Saturday Sept 7. I was shocked when, Thursday evening, Sarah told me to check my ranking/stats. The book had gone from #800K+ on Wednesday to #569 in less than 24 hours. The book was now #6 on the Christian Suspense genre, and I had 492 downloads. Need I say I barely slept that night? Friday morning, I had 652 downloads and had moved to #5 in Christian Suspense, and #386 in Free Kindle. It's not just the downloads though. I'm overwhelmed at people's response to help me get my book to number one. And just the fact that it reached #5 in the Christian Suspense, even though it's free, I'm ecstatic about that. I haven’t had a chance to do everything yet, as it's been less than a week since I finished your book. Plus I work fulltime outside the home so my time is limited to when I'm off work. But Cheryl, I am truly having a blast with this promotion, and I thank you for sharing your story in this marketing book. I believe that my methods still work, even though Amazon has messed up the algorithms so that we don't see the huge numbers we saw last year. There is still value in using the Select program, especially for niche authors and new authors, or those with only 1-2 titles. I've also tested my strategies on 99 cent sales--and guess what? They work. I've done 99 cent sales without my methods and seen only a slight increase. But when I do everything in my book, my sales skyrocket. If you're serious about promoting your book, and if you aren't one of those people who only "reads" a book on marketing and you're not afraid of working hard or experimenting, I encourage you to pick up a copy of HOW I MADE OVER $42,000 IN 1 MONTH SELLING MY KINDLE eBOOKS. It's only $2.99. NEWS: I've now earned over $210,000 with KDP Select! 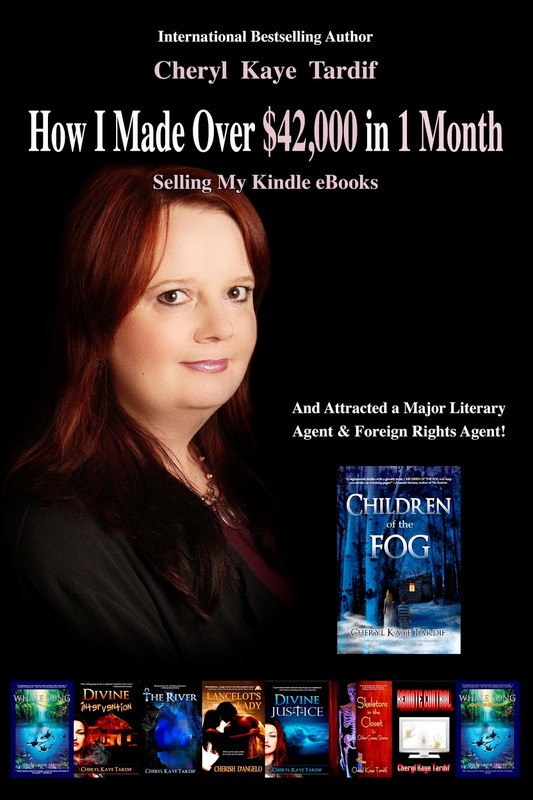 I signed with an agent at Trident Media Group; I was contacted by the senior editor at a "big 6" publishing company because of my success on Amazon; Amazon hand-picked two of my titles for special promotions; and I have signed a 2-book audiobook deal with Audible--ALL because of my KDP Select success. I'm the Sarah mentioned and love hearing of this success despite my own obstacles doing the same thing. Renee quickly became the teacher and I the eager student and, I promise you, I'll be writing you about my success at the end of the month with using your same advice. Thanks Cheryl for this book, and also thanks Sarah for the things you've taught me. I'm still learning as I work on my second novel, and once it is ready to publish, I'll have the right tools to market/promote/sell it. I recommend it to everyone, established writers as well as newbies. It's worth every penny, and then some. Cheryl, I bought the first editon of your $42,000 a month book prior to your changes. I was willing to purchase the book again just for the changes but was unable to on Kindle because I already bought the first edition. As you know, it is also not on iBooks or Barnes and Nobles. Any way to get the changes you made between the first and second editions? You should be able to get the newest version by going into your Amazon account and then into Manage Your Content and Devices. In the Content section you'll find a list of all ebooks you've bought. Find the book you want to update md click on the second small box from left (Actions). If there's a new edition, you'll see an Update link to click. Also, go into the Settings tab on the right and turn ON the Automatic Book Update. This way if there's an update, Amazon will notify you.